Welcome home to this cozy home nestled in the quaint Grasmere Heights subdivision. 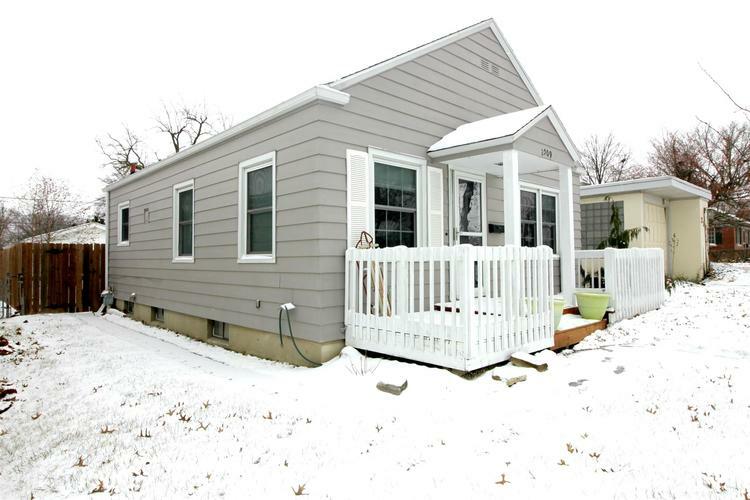 This charming Two bedroom, One full bathroom home features a newly remodeled bathroom with granite flooring. The beautiful hardwood floors that run throughout the house are original! The natural lighting along side the great spaces to entertain like the finished basement add a unique trait to this home. Wait till you see the poured concrete patio with a new pergola! This oasis in your backyard will be such a hit all year long. The Garage was built in 2012 with great alley access. Enjoy the newer deck out front as well. This charming, well taken care of home located in the popular 46805 area is one to called HOME! Directions:Heading north on on North Anthony Blvd turn left onto Lynn Ave. Take a slight right turn onto Lynn Ave. The home is on your Left side.